KUALA LUMPUR: The new central bank governor replacing Tan Sri Dr Zeti Akhtar Aziz will have to focus on reducing the country’s inflation rate and reviewing monetary policies. 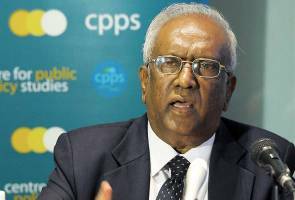 According to Chairman of the Centre for Public Policy Studies (CPPS) Tan Sri Dr Ramon Navaratnam, it is appropriate that the new governor to review and understand the role of the central bank first before making any changes. Ramon: It is appropriate that the new governor to review and understand the role of the central bank first before making any changes. “First review the whole position and don’t take any action. He or she must understand the roles of the central bank on what are they doing and what they have done. 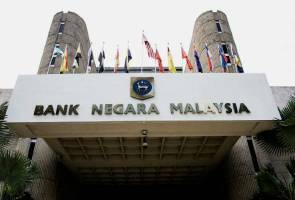 “Brainstorm with the senior officers, public sectors and private sectors first and ask them what they think of Bank Negara’s monetary policy, its view on government, fiscal and other policies. Ramon says after three to six months in office, a change in policies can be done if necessary, after having discussions with all stakeholders and relevant parties. “After studies and consultations have been made with the public and private sectors and the government, then look into the possibility of changes in policy if necessary. “I think the priority is to tackle inflation, how to bring the exchange rate to a more respectable level and ensuring the continuity in strengthening the financial banking system,” he said. Ramon added, the government should announce Zeti’s replacement as early as possible to reduce the impact on instability of the local market due to investors; concern. 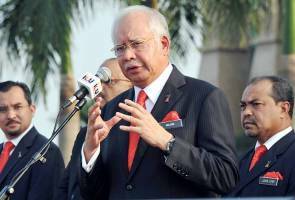 Asked about who should replace Zeti, he said the candidate should not be a politician. Zeti who has been BNM Governor for 16 years, is due to retire in April and had said that she would not stay for another term. This entry was posted in Bank, Bank Negara and tagged ">, bank, central bank, inflation, monetary, private sectors on March 19, 2016 by yeejin727.